Many everyday items that make life easier were invented in the Dayton region. The airplane. The pop-top can. The cash register. Dayton is also home to some pretty amazing, more natural creations, too, namely, our rivers – and the hiking and biking trails near them. And while our trails don’t get the same attention as the airplane or the cash register, our regional trails are about to get noticed in a big way. The American Trails’ International Trails Symposium heads to the Dayton region, May 7-10. The ITS is a biennial symposium that brings together the worldwide trails community to experience regional trails and advocate for the economic and environmental power of trails. But what’s so special about our rivers and trails? MCD owns extensive and contiguous riverfront land in cities along the Great Miami River as part of its flood protection system. It also preserved floodplains at each of its five dry dams. Upstream of each dam are vast tracts of land meant to flood occasionally so downstream cities don’t. MCD’s first chief engineer, Arthur Morgan, persuaded the MCD Board of Directors to open thousands of acres of the “retarding basins” to the public. Today, each dam’s forested greenspaces are wrapped with hiking trails, traversed by bike trails, dotted with picnic areas, then splashed with river launch ramps – all managed in partnership with county park districts, especially Five Rivers MetroParks. In the 1970s, a grassroots effort to build a paved, connected trail on MCD’s riverfront property led to the first major segment of trail – an 8-mile loop on both banks of the Great Miami River in Dayton. While flood protection remains the highest purpose of the land, trails are a compatible use that has transformed our region. The Great Miami River Bike Trail now has a total of nearly 80 miles completed, and new sections will be constructed before 2020. Other trails – built by MCD partners and colleagues — radiate like bike wheel spokes from Dayton in every direction. 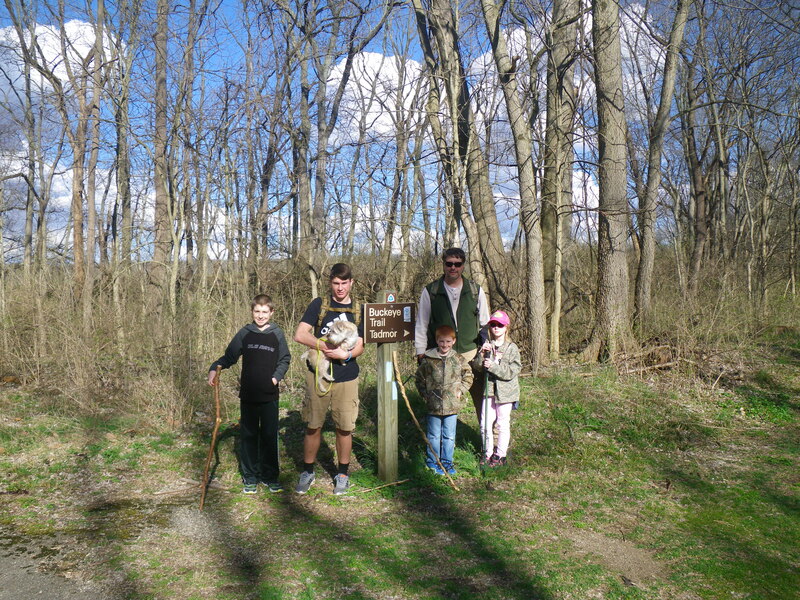 The Buckeye Trail is one of many hiking trails throughout the region. Host part of the North Country and Buckeye trails. Have been named National Recreation Trails. Are designated to carry part of US Bike Route 50 across the state. Connect several sites of the National Aviation Heritage Area. The Great Miami, Stillwater and Mad rivers, along with Greenville, Buck and Twin creeks are the only nationally designated water trail in Ohio and one of only 22 in the country. The Great Miami, Stillwater and Mad rivers also are a state designated water trail. Our rivers are getting plenty of attention, too. 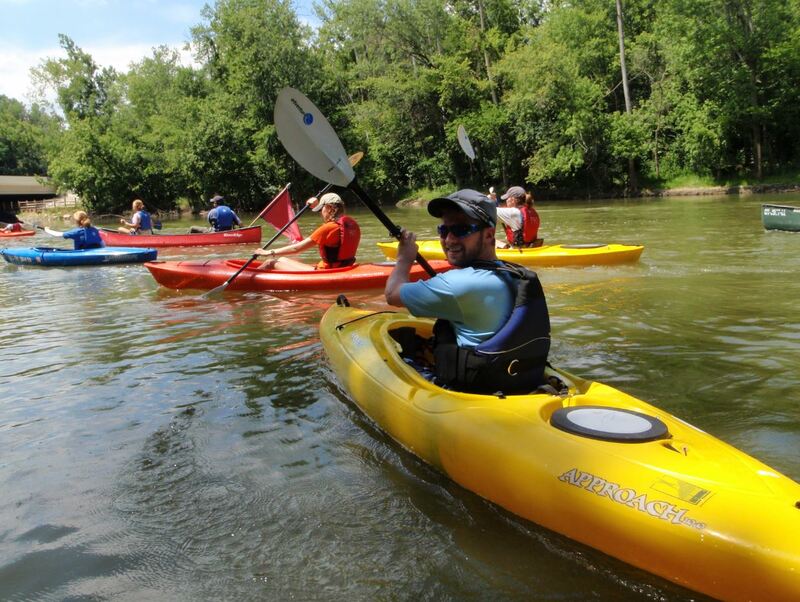 Last year, the Great Miami, Mad and Stillwater rivers along with Greenville, Buck and Twin creeks were designated the first and only National Water Trail in the state of Ohio. The national water trail designation by the U.S. Department of Interior is given only to those water trails that are exemplary. 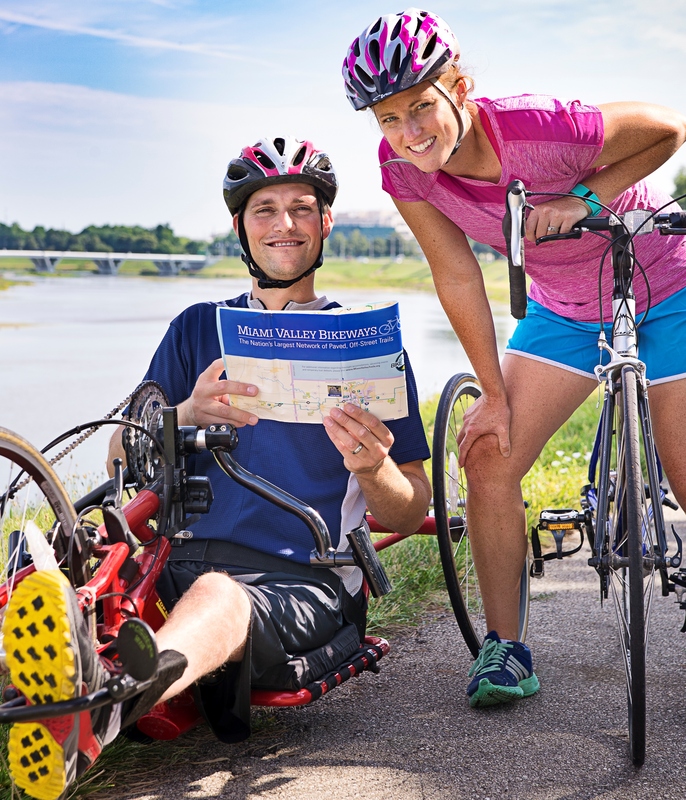 The Great Miami, Stillwater and Mad rivers also are state-designated water trails. With all of the amazing trails nearby, no wonder American Trails chose the Dayton region for its 2017 ITS. We are proud to join the list of celebrated trail cities that have hosted this conference in the past, including: Portland, Oregon; Tucson; Chattanooga; Austin; and Orlando. We hope you will join us for the symposium or one of the related events open to the public. Go to americantrails.org to learn more.